A criminal attorney and now a friend and confidante. 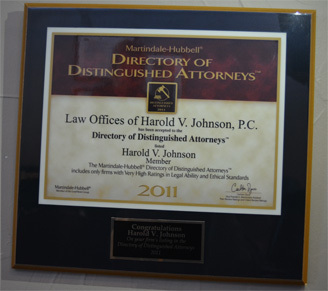 Harold Johnson is not just an attorney. Harold Johnson is THE attorney to call when justice is needed. He is REAL! Never trust your freedom or your life with any other attorney! Michelle Counts, Rocks! The best attorney with only the best secretary and assistant! Amazing People! After a long two years with my case. Harold Johnson Law was able to knock down my case from a felony to a misdemeanor. Mr. Johnson and Michelle have always answered any questions I had in a timely manner no matter what time of day it was. I would definitely refer him to friends and family. Thank you very much for all of your hard work and dedication. I am truly grateful. I'm Convinced Mr. Johnson Has Super Powers! I’m convinced Mr. Johnson has super powers. 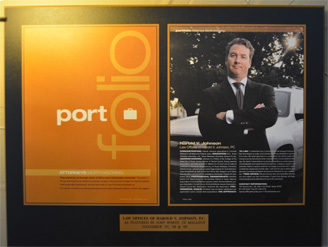 He is not only very professional with his work, he is so confident in every aspect of winning you your case. I will forever recommend him too anyone and I owe him so much for everything he has done for me. Also I have too add Michelle is the sweetest down too earth person you’ll ever meet! She is very good at her job and she really cares about staying on top of details with your case. Love her to death! H V Johnson and Michelle are very professional and efficient. Always following up & answering your calls or emails no matter the time. He also showed compassion through my entire situation, and even after. They were always there. His assistant, Michelle was always very helpful and also very compassionate. My experience with this office is 5 stars and I highly recommend. A very dedicated team! He’s the best lawyer ever! I love Harold and Michelle so much they helped me a lot. Harold Johnson and his staff were attentive, professional, and most importantly they are extremely good at what they do. Highly recommend. Harold Johnson and his Team are the Best Ever! Harold Johnson and his team are the best ever. Have never been more satisfied with the outcome. Five-star recommendation. Harold and his team (Michelle) are absolutely amazing, taking great care of their clients through every step. I appreciate the high level of professionalism and preciseness in ensuring the best outcome is reached for their clients. Harold Johnson is By Far One of the Best Attorneys in North Texas! Harold Johnson is by far one of the best attorneys in North Texas! I have been using his services since he was with the Dunham Firm over 10 years ago. I’ve watched him leave that firm to start his own and grow it into what it is today. Harry has never let me down. (when you spend as much money as I have you can call him Harry too lol) Anytime I found myself in a pickle he has come to my aid. I have personally referred several people to him. He always gets the best possible outcome. Michelle and Harry always joke and say that I basically paid for their newly remodeled office lol. “Seriously tho I probably did” They are like family! Harold Johnson will go to bat for you, this is a fact. I have literally put my life/future in his hands, and he’s got the job done every time. Harry is well-liked downtown and his reputation precedes him. 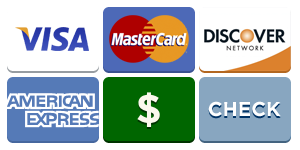 Also for those worried about costs they are very reasonable and will work with you. That is very important because we all know “good” representation is pricey. “Great” representation is outrageous. Harold is great at what he does! Keep up the excellent work you guys! “I have to include Michelle or she will get mad” AND you don’t want to see her MAD!! lol Hopefully I won’t be retaining their services for myself ever again lol. 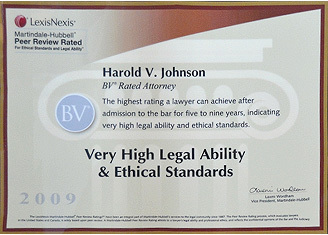 For anyone that is looking for an honest and loyal attorney Harold Johnson is by far the way to go! Harold V. Johnson is 100% a superhero. Hands down, no one better. Harold V. Johnson is the best lawyer to use for a case and Michelle is the best secretary that a lawyer can have. I know I can always depend on them!!! Harold Johnson Law first and foremost did a great job with my case. They handled everything very professionally, and in a timely fashion. They were able to reach a deal for probation, rather than the alternative would have been much worse. I am grateful for there efforts and highly Recommend them to everyone I come in contact with needing legal assistance. Very inviting and friendly office and staff. Harry is easy to work with and his assistant, Michelle C., never fails to put a smile on your face! Tootsie, AKA, Rat Squirrel, always greets with excitement and lightens any mood you may be in! Stand out law firm! Harold Johnson's Firm did an outstanding job on my case! Your reputation as a winner is well-deserved! My Experience with Mr. Johnson was Phenomenal! My experience with Mr. Johnson was phenomenal! We were able to come to a reasonable price for his services as well as the best possible outcome we could have got in court. 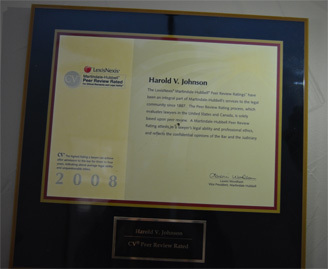 Would recommend Harold V. Johnson to everyone I know for anything they may need help with! Hands down this would be the attorney you WANT! Hands down this would the attorney you WANT to have on your side and going to bat for YOU. He is very compassionate about his work and extremely good at what he does. I would recommend him to anyone and if I ever need an attorney again, there is no doubt Mr. Johnson IS the one! Thank you! You are one of a kind. Oh and Michelle is so awesome too! 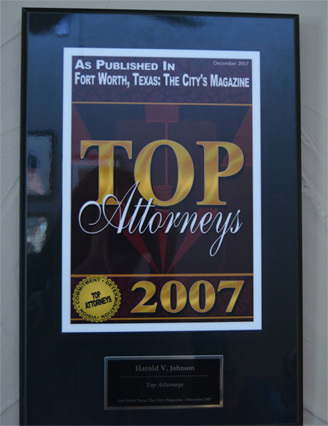 ~ Christi M.
Harold V Johnson Law Office PC is an Outstanding Law Firm. Mr. Johnson is a Great Attorney and has Helped me get a Friend Back on the Road Again! He helped him get his driver’s license back after he hasn’t been able to get one in 10 years! He goes the extra mile every day to help you with your needs. His office staff is great! 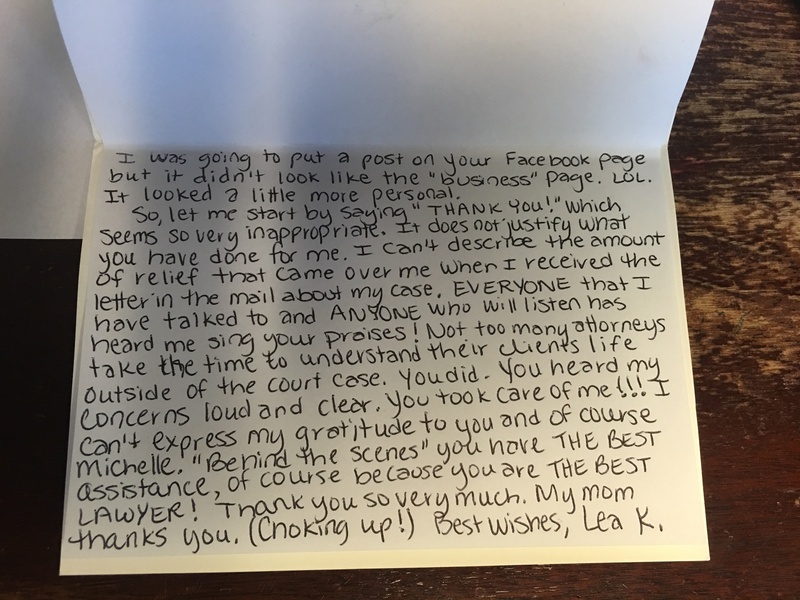 Real family Lawyer that has a Heart. If you need a good lawyer Mr. Johnson is the man he is great with the client. He is honest and fair good price. Also if he says something he means it. This is a man that i would hire again if needed a great lawyer. The office staff is friendly and helps with things that are need. All I really can say is this is a great man and my hero and my family hero, We thank you right down to our bones. Always receptive when I call.